That is, extremely belated standard New Year, or slightly belated Old New Year. С прадзником! My good news over the holiday was winning a small grant to start research in Russia this spring! Now I just have to wait out the visa processing and hope I can make it to Moscow by the end of February. If all goes well, I should be able to do some firsthand posts on the Presidential election in March. 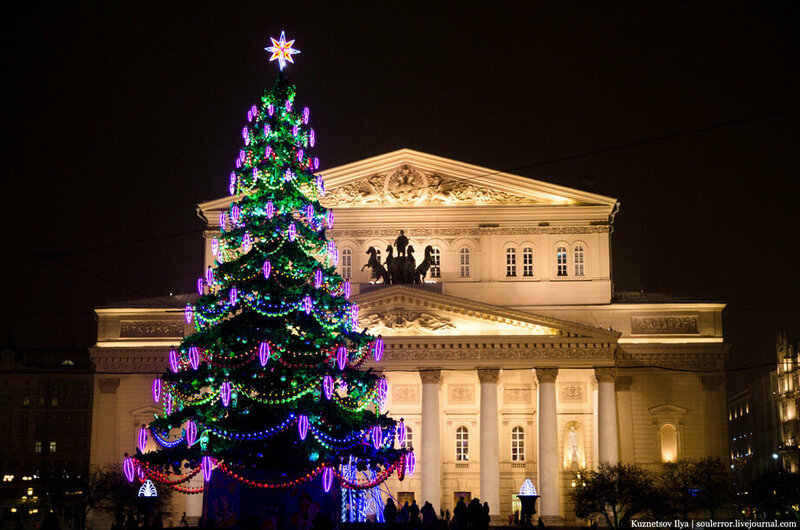 In the meantime, I strongly recommend this collection of photos of New Year’s trees (елки) in Moscow.